That Ole Gunnar Solskjaer, the hottest managerial property in European football, has chosen to risk his reputation at Cardiff should be sufficient reason for punters to back the Bluebirds on a couple of English Premier League exotics. Solskjaer, whose name has been near the top of the list of every British recruiting football club chairperson for at least the last 18 months, did not have to touch the Cardiff job with the proverbial ten-foot bargepole. There is a saying that football bosses should not pick a club but pick an owner. So for Solskjaer to pick notorious Cardiff chief Vincent Tan suggests that the Norwegian knows something about the Malaysian that none of us outsiders do. Tan is a self-made billionaire and none of them is stupid so, while the Cardiff owner handled his purging of Malky Mackay in an awful manner, do not dismiss him as being a sandwich short of a picnic. Maybe Tan, like Southampton chief Nicola Cortese, saw an opportunity to improve the quality of his team’s operation and did not care about public relations. Cortese copped criticism when he fired Nigel Adkins and hired Mauricio Pochettino but Southampton has gone from strength to strength. However Cardiff has ended up with Solskjaer instead of Mackay, Tan knows from the Southampton experience that most Bluebirds supporters will forgive him if their side remains among the elite. As one of the richest people in the world, Tan has the financial resources to bankroll a Cardiff spending spree before the transfer windows slams shut for the last time this season. One must assume that Tan has promised the use of a blank cheque book to Solskjaer and that the Norwegian has taken a calculated gamble that the Malaysian will not get involved in team affairs, which it is rumoured that he did during Mackay’s reign as Cardiff manager. Again, Tan is not silly and one must think that he will leave Solskjaer to do the job for which he is paying a handsome salary to him. Solskjaer’s managerial record is excellent. Solskjaer did a terrific job with Manchester United’s reserve side before he accepted a four-year offer from another club for which he played with distinction, Molde. What Solskjaer achieved in his first term as Molde boss was nothing short of miraculous as he oversaw the club’s climb from 11th on the Norwegian Tippeliagen ladder in 2010 to first in 2011. Even Solskjaer was taken aback at leading Molde to its first championship in his first season. Molde retained its title in 2012 and, even though a disappointing start to 2013 ruined its chance of going back to back to back, it won the Norwegian Cup. No-one in football has a bad word to say about Solskjaer and that is why Tan was not the first football club chairperson to offer an employment package to the Norwegian. 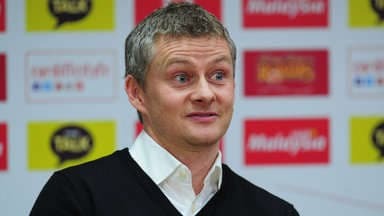 Solskjaer turned down the advances of Aston Villa to stick with Molde and there were rumours of other approaches before he chose to move to Cardiff. Solskjaer has had the opportunities to be picky so his selection of Cardiff is significant. Cardiff is available at odds of 1.53 with BetVictor to stay in the English Premier League for at least one more term. Either take those odds before Cardiff plays West Ham in the Welsh capital or wait until the Bluebirds have got their consecutive league matches against the Manchester teams out of the way. The bottom line, though, is that there will be three weaker sides in the division once Solskjaer has stamped his authority on Cardiff’s squad and done some wheeling and dealing. At odds against, Cardiff is attractively priced at odds of 3.75 with Ladbrokes to be the top promoted team when the English Premier League season ends. Cardiff has home games against Crystal Palace and Hull remaining, plus neither the Eagles nor the Tigers are likely to match the Bluebirds in the spending department. Crystal Palace has entrusted the top-flight smarts of Tony Pulis to keep it in the division and similarly Hull with Steve Bruce. With all due respect to Crystal Palace, which has done well to lift itself off the bottom of the ladder in recent weeks, this market looks like a head-to-head between Hull and Cardiff, with the Tigers horrendously short at odds of 1.57 with Paddy Power for a side that does not score many goals.